My Week in Azeroth is a weekly post detailing the things I’ve done in the game which I’ve found to be, either: A) completely cool, B) worth taking screenshots of, or C) something I know is only cool to me but my ego demands I post it anyways. Nothing in this post is serious; it’s a fun thing to do on the weekends when I’m normally very busy. 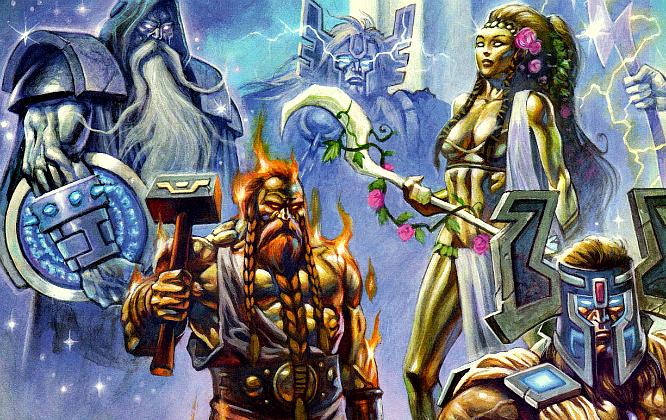 Was your week in Azeroth just as cool as mine? Let me know in the comments! I love slow weeks, don’t you? No hassle, no deadlines to meet, just you and the cold silence. That’s what this week has been like for me in WoW. I had no raids (indeed, no raid team), no dailies I have to do, no professions I have to level… which leaves me with time to just enjoy the game. Which is really nice. For the past few weeks I’ve been almost frantic trying to find a raid team in AIE who needs a hunter and, surprise, we seem to be too numerous. I almost quit the guild to join an afternoon progression guild on the same server, but thought against it when I was told the guild leader was a hunter and they had another one in their ranks. Now, gear isn’t everything, but I’d at least like a shot at something when it drops, yanno? None of that right now, though. I can raid later. For now I’ve just been getting some classy achievements on Frite that I’ve been putting off for a while. This mostly included a mad-dash to get the Elder achievements, which I haven’t done in three years. The verdict? Make that FOUR years I’ve let the achievement/holiday slide by me. I’m really bad at this holiday thing. I wanted to do it, I really did, because I want at least one proto-drake, but… maybe next year? *SIGH* Procrastination, you win again. I dislike Tol Barad. I disliked the Isle of Quel’Danas back in BC. I disliked the Argent Tournament in Wrath. 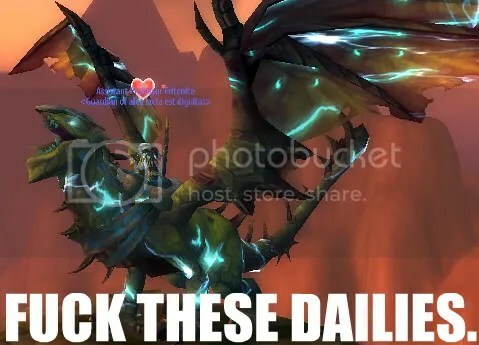 Now, I don’t mind dailies, as I need something to do while my DPS dungeon queue ticks ever forward, but something about having a centralized daily hub that you go to every single day irks me. Maybe it’s the convenience. Maybe I just hate things for no reason. Either way, I’m not done with Tol Barad dailies, as I’ve yet to get the tabard/seagull pet/spotlight/ghost wolf. Sadface. I think I may have a problem. 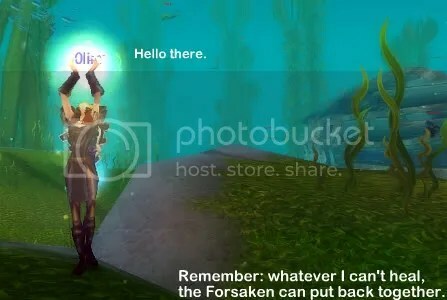 Olim, formerly an Alliance scum, is back where she belongs in the Horde. I had a hard time choosing whether or not to be a tauren or blood elf, but in the end it came down to one thing: which do I think is cooler? To be honest, while I love the Tauren and actually have a few on other servers slowly leveling whenever I get tired of Earthen Ring, I don’t think that Olim was meant to be one. She’s a scientist. Her knowledge of the Light is academic and precise. I just can’t see her being anything but, and the blood elves fit that trope to the letter. The option of gender-changing her was another obstacle, as I think both genders have horrible casting animations. In the end I went with the one who looked less like an idiot: the female. This means I get to heal again! Yay! And Frite gets free alchemy transmutes/Volatile elements! Yaaay! Everyone wins, but mostly I win! The prospect of raiding on Olim as opposed to Frite has crossed my mind several times. I’m probably going to end up making her my raiding main because, let’s face it, healers are in far more demand than hunters. This was the case in ICC, and it always made me a bit sad not to be playing the character I refer to as my main, but it’s a rather small sacrifice to get back into raiding (something I want to do terribly). I’ve gotten into it. I really have, guys. Its mindless fun, like fishing but with more time on my pretty new drake. Around 70 I got my first rare dig (Skeleraptor pet! Score!). Because Archaeology hates me, I didn’t get enough Fossil digsites to make it until around 145, but make it I did damn it! He’s incredibly adorable and I can’t wait to get his older brother, the Skeleraptor mount. I decided to stop tanking for a few levels on Paz and just quest. No pressure, no key-spamming, no cursing at stupid DPS, just me and kitty form and a love for pouncing. There are some hilarious quests involving this bloodmachine. A random goblin in Gadgetzan wants you to kill basilisks/rocs/hyenas and summon the small gidget so it can harvest their carcass. The bot loves his job, as you can see, and makes what would have normally been a dull “kill 10 pixels” quest into something I actually enjoyed doing. 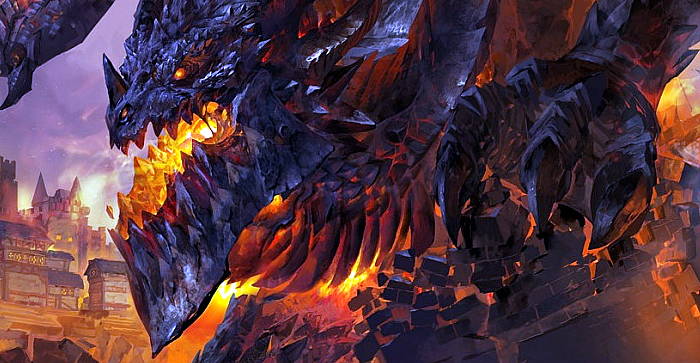 Blizzard’s learning a lot when it comes to quest design and the role that NPCs play in them. This little machine may not be a named NPC who will go on to kill Deathwing, but I’m certainly going to do his quests every time I level a character through Tanaris. 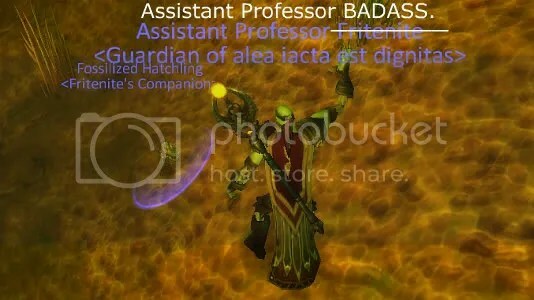 Blizzard has been doing this all throughout Cata: Zen’Kiki from the Western Plaguelands (the entire REASON I made my druid a troll :D), Darnell from the Forsaken starting quests, and Orkus the Kingslayer from his quests in Hillsbrad all come to mind when I think of NPCs I won’t be forgetting soon. There’s a post about NPCs and how Cataclysm has changed their role somewhere in my head, but Rades can do that post a thousand times better than I can. How was your week, gang? Any phat loot? 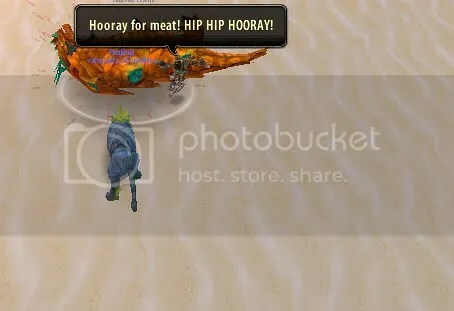 Cool mounts obtained? RP gear farmed? I wanna know in the comments!